For the first six years I lived in this house, I had this cheap shoe rack made of twigs that dumped off every shoe every time I tapped it while trying to hang up clothes in my closet. 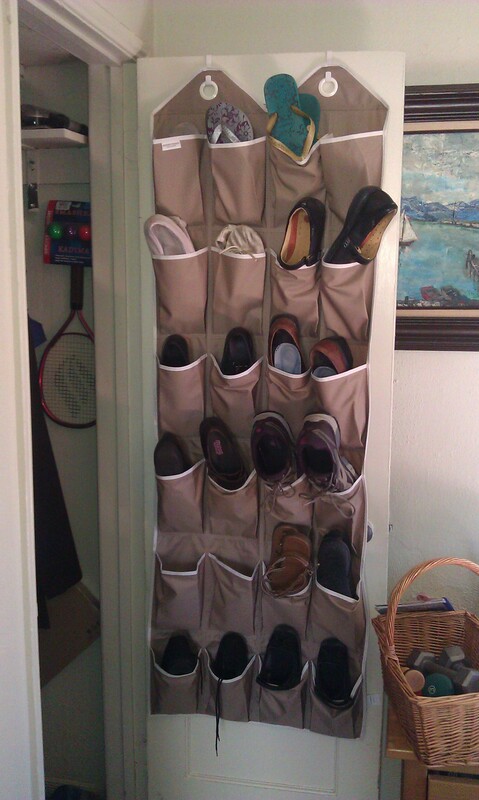 Recently, I bought this over-the-door shoe holder thing. It was the best $19 I ever spent. I think we all must agree that I am a genius. Just a very, very SLOW genius.